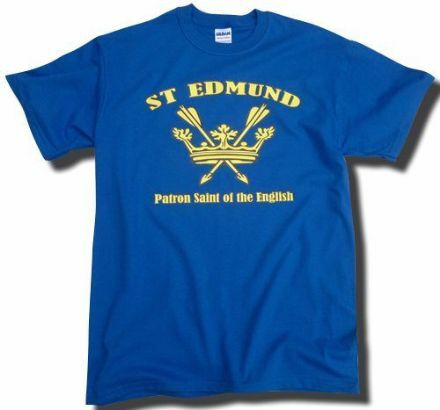 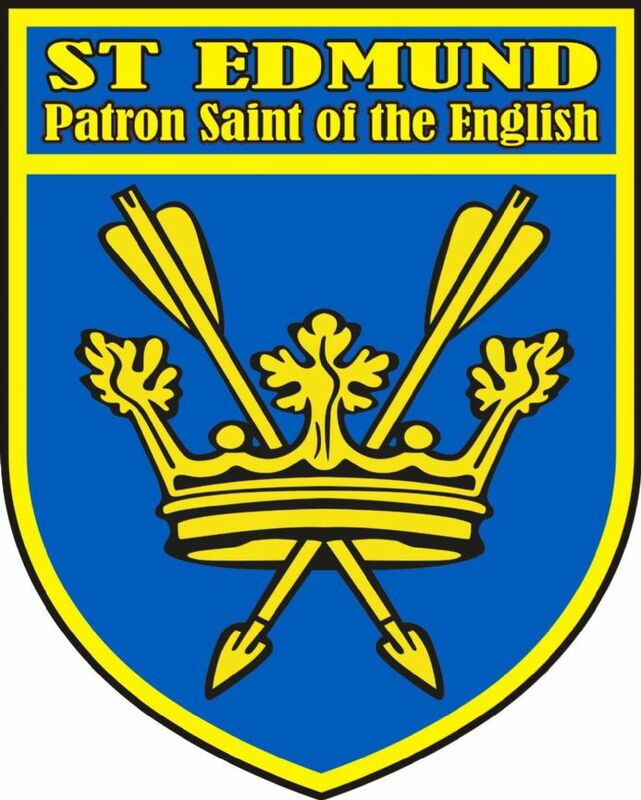 Car window sticker depicting the coat of arms of St Edmund, the original Anglo-Saxon Patron Saint of England. 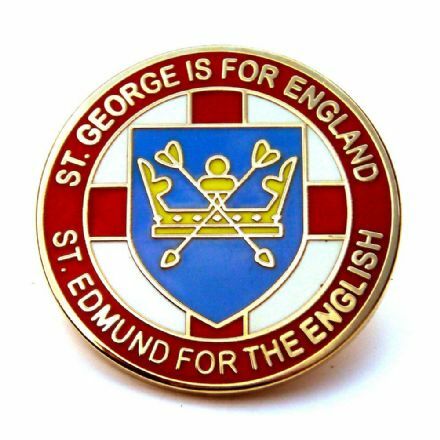 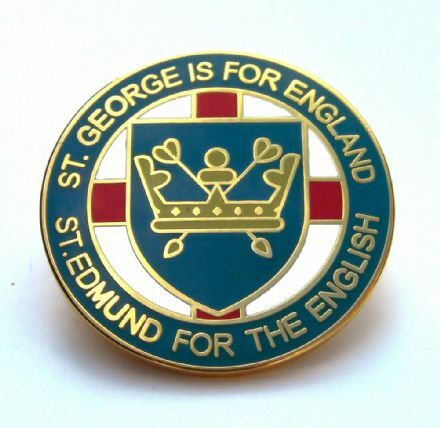 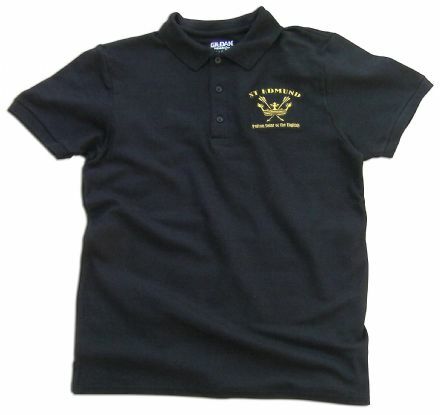 After the Norman invasion St Edmund was gradually replaced by the more continental St George but to the English he was never forgotten and during the dark days following 1066 he was seen as a strong symbol of English identity. 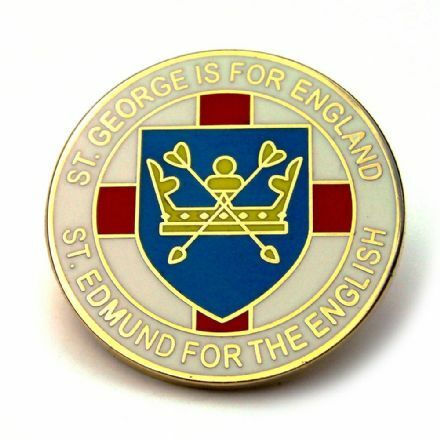 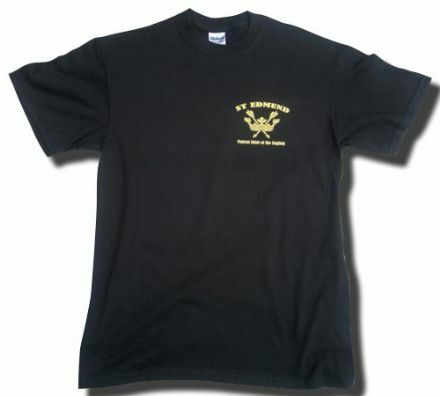 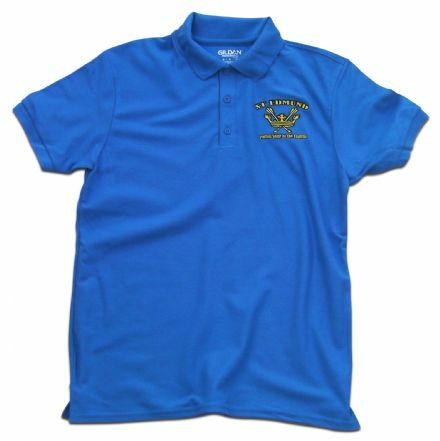 At the battle of Agincourt while the mounted knights, who were largely of Norman descent, flew the Cross of St George it was the banner of St Edmund that was flown by the English warriors.